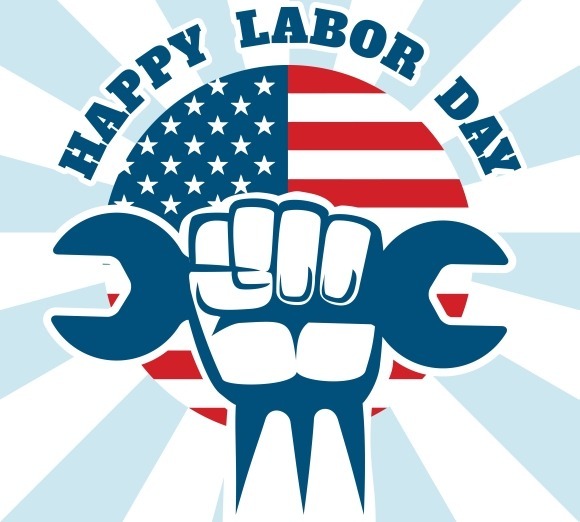 Missys Product Reviews : Happy Labor Day & Why America Celebrates It! Through the years the nation gave increasing emphasis to Labor Day. The first governmental recognition came through municipal ordinances passed during 1885 and 1886. From these, a movement developed to secure state legislation. The first state bill was introduced into the New York legislature, but the first to become law was passed by Oregon on February 21, 1887. During the year four more states Colorado, Massachusetts, New Jersey, and New York created the Labor Day holiday by legislative enactment. By the end of the decade Connecticut, Nebraska, and Pennsylvania had followed suit. By 1894, 23 other states had adopted the holiday in honor of workers, and on June 28 of that year, Congress passed an act making the first Monday in September of each year a legal holiday in the District of Columbia and the territories. Some records show that Peter J. McGuire, general secretary of the Brotherhood of Carpenters and Joiners and a co-founder of the American Federation of Labor, was first in suggesting a day to honor those "who from rude nature have delved and carved all the grandeur we behold." In 1884 the first Monday in September was selected as the holiday, as originally proposed, and the Central Labor Union urged similar organizations in other cities to follow the example of New York and celebrate a "workingmen's holiday" on that date. The idea spread with the growth of labor organizations, and in 1885 Labor Day was celebrated in many industries. The form that the observance and celebration of Labor Day should take was outlined in the first proposal of the holiday a street parade to exhibit to the public "the strength and esprit de corps of the trade and labor organizations" of the community, followed by a festival for the recreation and amusement of the workers and their families. This became the pattern for the celebrations of Labor Day. Speeches by prominent men and women were introduced later, as more emphasis was placed upon the economic and civic significance of the holiday. Still later, by a resolution of the American Federation of Labor convention of 1909, the Sunday preceding Labor Day was adopted as Labor Sunday and dedicated to the spiritual and educational aspects of the labor movement. The vital force of labor added materially to the highest standard of living and the greatest production the world has ever known and has brought us closer to the realization of our traditional ideals of economic and political democracy. It is appropriate, therefore, that the nation pays tribute on Labor Day to the creator of so much of the nation's strength, freedom, and leadership the American worker. Labels: Happy Labor Day & Why America Celebrates It!